You’ve likely heard KRCC’s News Director on the air, but there are a lot of other state and regional news reporters on air as well. Here’s a who’s who of some of the voices you’re likely to hear as part of KRCC News. Andrea came to KRCC in 2008 by way of Missouri. She’s responsible for KRCC’s overall news presence, and oversees a cadre of freelancers and students; Andrea also manages the development and production of Western Skies. 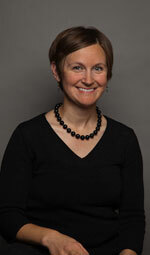 Her award-winning work has been heard on NPR, The World (PRI), and the BBC. The Ohio native loves music and media, food, and the open road; it’s also not uncommon to see her taking a walk through downtown Colorado Springs. Click here for recent posts. Follow Andrea on Twitter: @AndreaChalfin. Liz came to radio after working in newspapers. She’s originally from Alaska and reported for the Anchorage Daily News for nearly a decade. She worked as a Washington correspondent in the D.C. bureau of McClatchy Newspapers for five years. She has also reported stories from the United Kingdom and Japan. Her work has appeared in the Washington Post, the Miami Herald and on PRI’s “The World.” She’s an avid bread baker and an occasional marathoner. 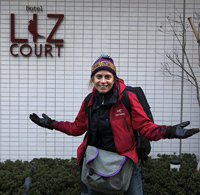 Click here to see recent stories from Liz. Hannah found her way to KRCC as an intern when she was a student at Colorado College, where she studied sociology and field biology. After graduating, she traveled around the world learning about fish and the communities that depend on them. She loves listening to people’s stories, and finding ways to share those stories and perspectives with others. 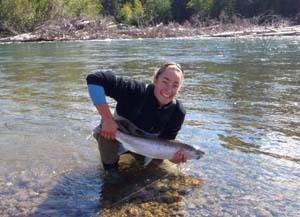 Originally from Oregon, she loves doing things outside, especially if it involves a river. Click here for Hannah’s recent stories. 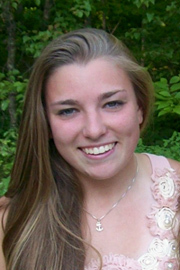 Eliza Densmore is a student at Colorado College majoring in English and minoring in Music. She interns with KRCC News to engage in the wider Colorado community and learn how the world works. Originally from Massachusetts, in her spare time she enjoys making music, eating pancakes, and adventuring in the great outdoors. Click here for Eliza’s recent stories. 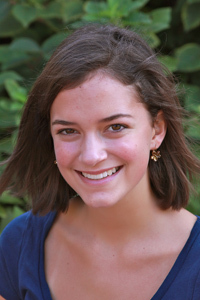 Martha Perez-Sanz is a student at Colorado College, working towards a major in Anthropology and a minor in Journalism. She’s been interning in the News Room since 2011 and loves keeping track of what’s going on in her college’s city. Born and raised in Chicago, Martha can’t get enough of the Front Range and likes to have it within her sight at all times. An avid power walker, amateur grocery shopper, and professional chatterbox, Martha can often be found cruising between her campus apartment and the KRCC headquarters on her bright purple bike, affectionately named “Clyde”. Click here for recent work. Follow Martha on Twitter at @MarthaPerezSanz. Shanna Lewis’ work as an independent radio producer and journalist has aired on NPR’s newscast and news magazines, Voice of America, Prime Time Radio and Pulse of the Planet, among others. Freelance print and photography work by Shanna has been featured in The Denver Post, The National Post (Canada), High Country News and other publications. She is the recipient of a Colorado AP (Associated Press) Broadcast award and has garnered seven Colorado Press Association awards for reporting and photography. Shanna is a member of the Association of Independents in Radio, Society of Environmental Journalists, National Press Photographers Association and Journalism and Women Symposium. She also serves on the board of directors for KWMV 95.9 FM, a community radio station in rural Colorado. Click here for Shanna’s recent stories. Elise lives in Ridgway, covering issues and stories along Colorado’s Western Slope and the Four Corners region. She freelances for a variety of stations and feels lucky to live in a state that’s so supportive of public radio. Elise started out at KWCW while attending Whitman College; she’s also worked at KBOO in Portland and National Public Radio. 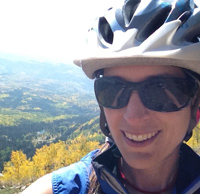 When not creating radio, Elise loves being outside — especially climbing, biking, and skiing. Click here for Elise’s recent work for KRCC. Luke came to KUNC, a Rocky Mountain Community Radio affiliate, from Aspen Public Radio. He came to the Centennial State from the wild plains of Illinois, after cutting his teeth in journalism by covering the state legislature for Illinois Public Radio. Despite the wonky beat, Luke covered topics ranging from roadkill to redistricting to local food movements. After finishing graduate school at the University of Illinois Springfield, he needed a change of pace and scenery. Aspen Public Radio fit the bill. 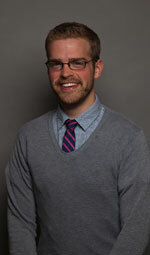 Before devoting himself to public radio, Luke worked for three years at his college newspaper, serving as editor his senior year. Luke is a big fan of hearty soups, flannel shirts, and comfy slippers. He’s never missed an episode of This American Life or Radiolab, and though he’s never met him, thinks he’d get along great with Bob Boilen. He’s never skied a day in his life, but is ready and willing to learn! Click here for recent stories from Luke. Originally from Montana, Marci grew up near the mountains and can’t get enough of them. She began in broadcasting in Missoula, Montana where she anchored Montana Public Radio’s local Evening Edition news program. She then picked up a camera and tripod and worked for Missoula’s local CBS television station as a reporter. Shortly after that, she returned to radio and became the Assistant News Director at a radio station in Oshkosh, Wisconsin. 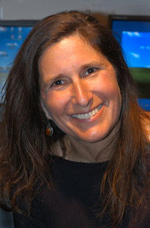 Marci began at Aspen Public Radio (a Rocky Mountain Community Radio affiliate) in 2007 as the station’s morning host and reporter. Although you can occasionally hear Marci in the mornings, she is now quite content to be sleeping in and reporting all day. When not at the station, Marci is on her road bike, meeting people, or skiing. Click here for her recent work featured on KRCC.